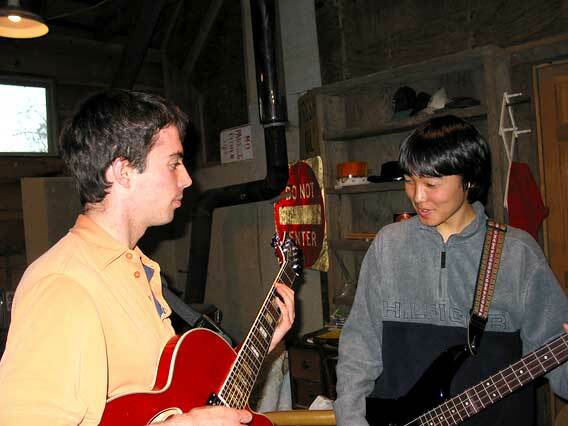 Robotto Tai [Japanese for The Robots] is a Quartet-to-Sextet based in Wellfleet, MA on Cape Cod playing Jazz, Rock, Funk and Blues. We are composed of six student musicians who attend Nauset Regional High School: Drums, Bass, Guitar, Trumpet, Tenor Sax and sometimes Piano and/or rap. These recordings © 2003 Robotto Tai and Squish the Squid Productions. Recorded/Mastered by Arvid Tomayko-Peters. Cover art also by Arvid Tomayko-Peters. Click on linked names above to get more info / contact by email. Jamie is our guitarist and music theorist extraordinaire from Provincetown. In addition to music he does lots of humanitarian work and is very involved in everything. Ken is our incredible drummer. We practice in his boat-house in Wellfleet. 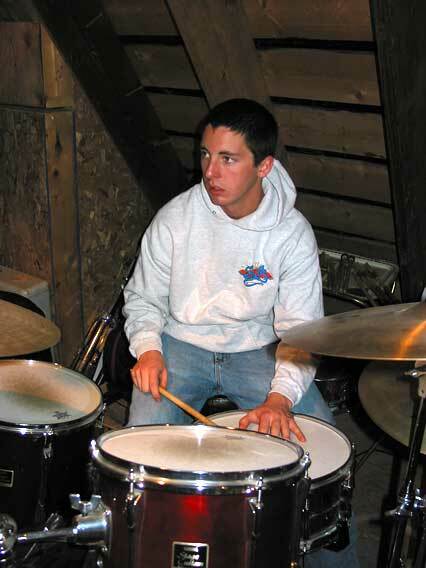 He is also part of the bands Leviathan and Skeeter and the Buzztones and is part of the Nauset High School Jazz Band and Percussion ensembles. Yoshi is our rock-solid bass player. He is an exchange student from Japan and an avid soccer player and sailor. Unfortunately, he has now returned to Japan. Arvid is our trumpet player from Truro. He's also the recording / technology guy [that's me] and plays classically with The New Osprey Brass Quintet and in recitals around The Cape. Tristan, our esteemed but often missed tenor sax player, hails from Wellfleet and does lots of musical stuff. He is very good. 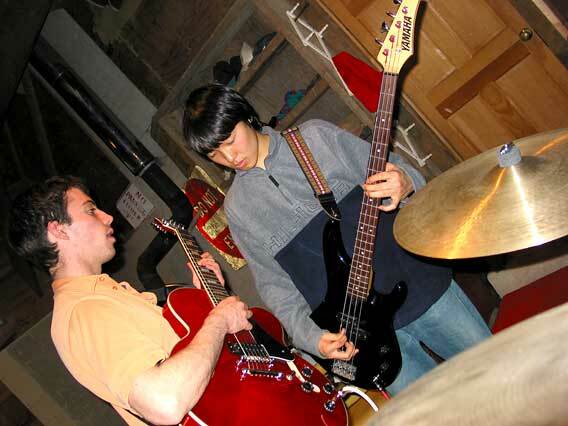 Both Arvid and Tristan are members of the Nauset High Jazz and Concert Bands. Jamie, Ken and Arvid are also members of the Nauset High School World Music Ensemble headed by the extraordinary Lisa Brown. March 7, 7:30 PM: Show at Ken's Boathouse [our first]. Live recordings made. Wed, April 9, 6:30 PM: Opening National Honors Society Induction Ceremony at Nauset Regional High School in Auditorium - Went very well! Several parties - graduation etc. Mon, June 16, Jamie leaves for Austrailia - we'll be inactive for a while. Yoshi leaves for Japan the the end on June and we will need to find a new bass player. None Scheduled as of now. Looks like we are all moving on. If you would like a CD, contact Arvid by email or phone: 508-349-7579. Oliver Nelson's STOLEN MOMENTS, Freddie Hubbard's RED CLAY and Kenny Dorham's BLUE BOSSA are soon to come if we get rights for them. Want us to play? We'd love to! We play almost any type of venue anywhere on the Lower Cape. We do not demand huge amounts of money.